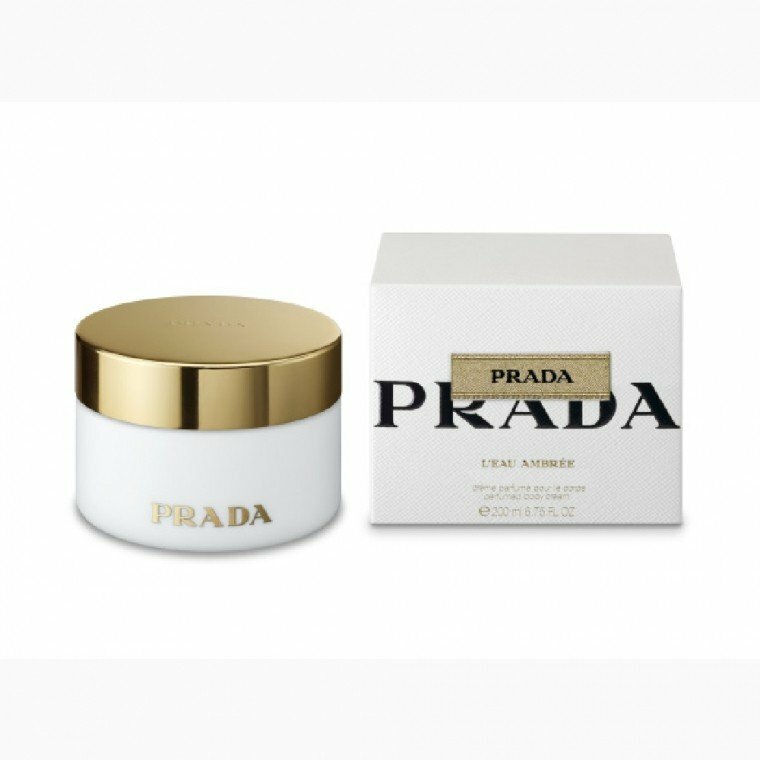 Prada L'Eau Ambrée is a popular perfume by Prada for women and was released in 2009. The scent is powdery-oriental. It was last marketed by Puig. I love perfumes with balsamic and vanilla main accords that carry a good amount of sweetness, and if they have depth and facets, I love them even more. 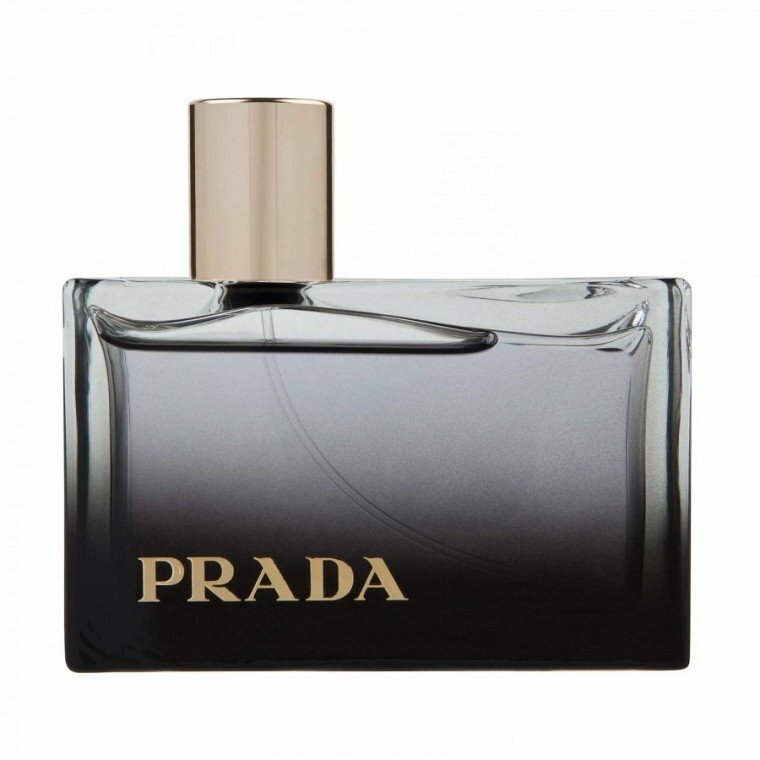 Prada L'Eau Ambree falls into this category. I am usually not much of a patchouli woman, but here it is blended in so beautifully, that it enriches the facet aspect of this fragrance in a very interesting and delightful way. Sometimes sweet fragrances can be boring, just because they are nice and sweet, but don't add much else to the stimuli. Not so with L'Eau Ambree. This is a scent that keeps me entertained long after the initial spray, when so many other sweet fragrances lose their draw for me. It is deep enough for the evening and light enough for the daytime. I will be wearing this lady quite a lot for sure. Perfect in the sense of being elegant, refined and soft. This has been on my testlist for a long long time and I must say (as a niche devotee) I am perfectly happy to have it in my collection. L'Eau Ambrée has that typical Prada high class touch and it is now my favourite of the house. The name of Prada L'EAU AMBREE makes it sound like a watery solution or cologne strength version of an amber perfume, but to my nose this composition seems more like a thin golden veil. 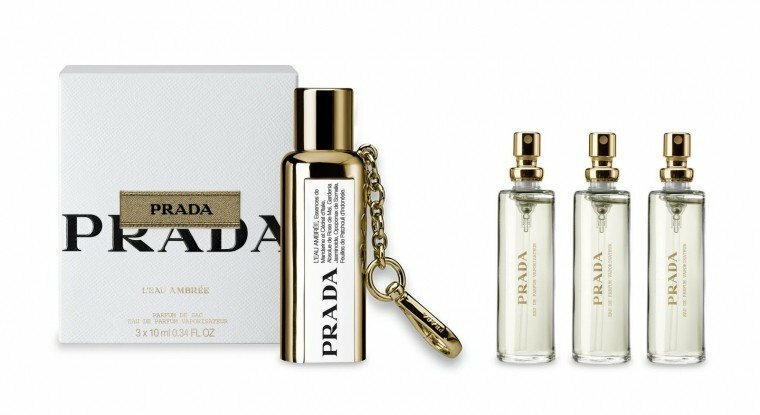 The amber is not animalic at all, and there is a slight touch of the Prada house soap note, almost as a sort of identifying mark or scent print. This is a very subtle composition, with extremely light and quite fleeting citrus in the opening followed by the veil of amber. The rose and patchouli are not at all heavy and, to be honest, barely detectable. But all of this is by design. Daniela Andrier appears to have set out to create the world's lightest amber, and I do believe that she succeeded! People who enjoy thick, viscous golden amber with an olfactory texture similar to caramel, or those who like the metal mesh effect of ambergris perfumes, may be disappointed with this creation. I however like it. L'EAU AMBREE is elegant, sleek and clean, and not sweet, despite the vanilla listed among the notes. Because of all of these features, this composition is perfect to put on after a bath and before going to sleep, and may induce in the wearer regal dreams! The bottle is the same gorgeous one used for PRADA and PRADA TENDRE with the glass thickness varying along the bottom, and a metal plate on the top, with the primary notes of the composition embossed. I now own both the regular and the bulb atomizer version. In a gift set, I also received bath gel, body lotion, and scented dusting powder with a charming powder puff. The powder smells splendid. The first time I reviewed this perfume, I was basically on Miss K's page (see below). Since then I have come to appreciate the subtle virtues of this noble creation. Musky, Herbal, Powdery - in that order... oh, and an old stone church. L'Eau Ambree is on my wish list. The first spray is a harsh and jarring very short lived note of citrus. For me that note fades quickly within a minute or so. Thereafter lots of muskiness and patchouli and herbs. I get an odd undercurrent of something earthy that smells of dusty rocks or the crypt in an old stone church. Very soon after it becomes very powdery and sweet for me. The ghost of insense comes to mind also - that may be the 'opopanax' note that refers to sweet myrrh (I had to google that one...). Fades to smooth powderiness. But fades really quickly for me. Prada L'eau Ambree didn't start off too well with me. I had first sprayed this on a card, smelt nothing. I then applied to my skin, still nothing. I even sprayed into the air around me, absolutely nothing. I honestly could not smell a thing, and my nose is very sensitive. I was wondering how on earth I could write a review when I couldn't even tell you what it smelt like. Thankfully I could begin to smell a subtle hint of citrus and patchouli after an hour had passed. Well, this fragrance is certainly not loud or offensive. It is extremely intimate and very subtle. Unfortunately it tends to vanish on the skin quite quickly. So the moment it appears, it's gone again. Throughout the duration of this scent, all I had managed to detect was the patchouli, the citruses, soft amber and delicate, powdery vanilla. I concluded that Prada L'eau Ambree smelt very much like an expensive bar of soap. Very clean and feminine. This fragrance was certainly not unpleasant, however it was disappointing due to all the hype surrounding it. I much prefer the original Prada as a unique and characteristic fix for my amber cravings. Write the first Review for Prada L'Eau Ambrée!